Seniors can become increasingly isolated and lonely as they age. Loss is a part of aging because spouses and friends are aging as well. In addition, once seniors can no longer drive or get around easily they may be forced to stay home more and more. These factors can lead to your dad feeling lonely and isolated at home. Loneliness can be extremely dangerous to your dad’s health and general wellbeing. The latest research into the link between loneliness and senior health is sobering. A study from the University of California San Francisco found that loneliness is associated with an increased risk of death and a decrease in function. With such serious consequences connected to loneliness the next question is how to combat the issue. Should you move your dad into a senior living so he will have more people around to interact with? 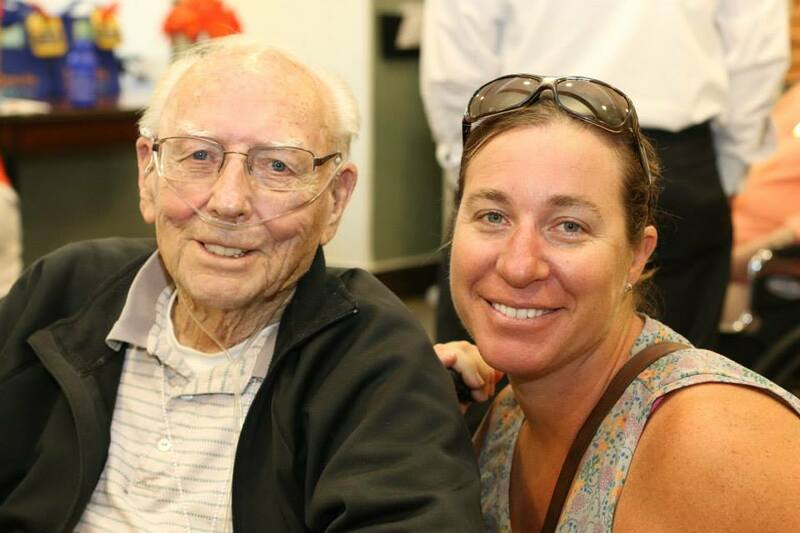 Will your dad be less lonely in a senior living community than at home? These are important questions to grapple with as you explore options with your dad. The most significant part of this process is acknowledging that this can be a real issue for aging adults. Once you recognize that loneliness could become a problem for your dad, you can take steps to help him combat the issue. One of the major benefits of residing in a senior living community is the opportunity for connection with others. The best communities offer a calendar full of social events, outings and physical activities for residents. These events give residents the opportunity to connect with others as well as the opportunity to engage their minds and bodies. Building relationships within a senior living community can help your dad develop a more positive outlook on life and aging which can in turn impact the quality and longevity of his life. Researchers at Yale University found that people with a positive outlook on aging lived 7.5 years longer than those with a less positive outlook. The connection between meaningful relationships and longevity highlights the importance of social interaction throughout life. Ultimately, your dad will have more opportunities to develop friendships and stave off the loneliness that often comes with age if he is surrounded by others in a senior living community. Interested in seeing what types of activities are on the calendar at the Eskaton locations? You can see a calendar of events that you and your dad can participate in at Eskaton Village Carmichael here.